What does digital transformation in business look like? Why is it such a threat to current ways of working? In this final part of a three-part series, we look at market disruption and new opportunities for tomorrow’s leaders. We looked at how mobile and cloud has influenced the way we all relate to technology in part-one. In part-two we looked at the impact of the digital workplace, and how digital supports remote working and tools for increasing output. Up until now we’ve looked at how digital has changed expectations and how it can help us work more efficiently. That’s using digital to do what we’re doing better. 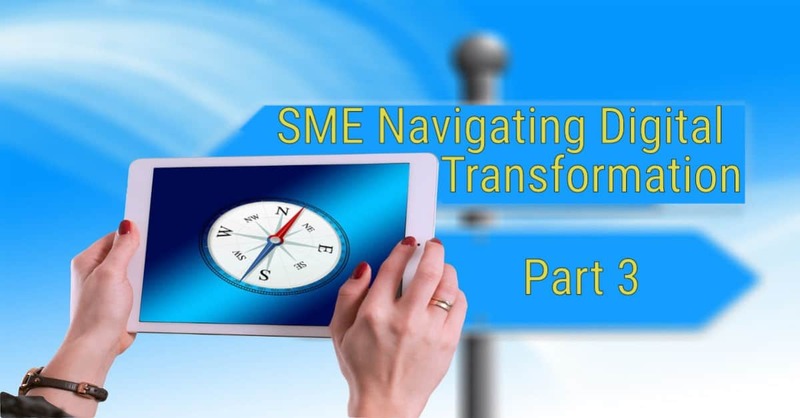 In this blog, we take a step back from how we do things today so that we can appreciate how digital transformation in business can be a game changer. We’re looking at how digital can disrupt markets and make what we do today obsolete. You’re in a shop and you’ve decided to buy a jacket. A friendly assistant greets you by name and suggests a few items that might go well with the jacket. 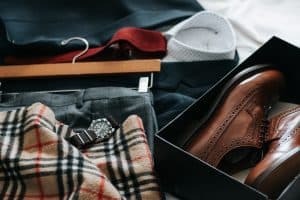 Once you’ve decided on those items, the assistant mentions that other customers that bought that jacket also looked at… You might be chuckling to yourself as you realise this is how online shopping works, perhaps a recent Amazon experience. Only this is happening in a brick and mortar store. Not just any store, but a famous British brand that is known internationally. That famous British brand is Burberry, a retailer of textiles, apparel and luxury goods with stores in 51 countries, and a pioneer in machine learning. They introduced iPads in 2014 to help sales assistants provide a better customer experience and boost sales by 10% year on year growth. Burberry collects customer data to understand customer preferences and buying behaviour so that customers benefit from a deeper personalised shopping experience. Burberry also use the technology in people’s hand, the smartphone. Using RFID tags on garments, as customers look at items, they can provide them relevant information. In part-one we wrote about customers preferring chat bots because they’re responsive. With machine learning and automation, could robots provide a higher-level of personalisation in the future? Insights are important for deciding where to invest, understanding segments and seeing opportunities. Digital systems that are rich in data are also a great source of business insights. Years ago, any report would have needed a programmer. Today most systems have standard reports, and some allow custom ones too. Small businesses often miss out because they don’t know what’s there. Business can now process large quantities of data at low cost with advances in storage and processing in the cloud. Add to that, reduced cost of data analysis through machine learning means that insights are increasingly in the reach of small business. 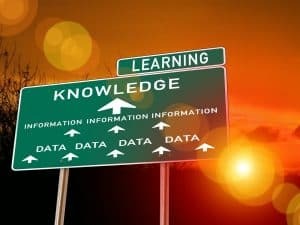 If machine learning can deliver insights at a lower cost, doesn’t that mean that smaller businesses could do the same? You can bet on market disruption as new technologies appear. In fact, four out of five executives expect disruption from agile, data-driven upstarts. Small businesses can find new ways of working and compete with bigger players. Bigger players may struggle to move fast enough. They may also be unwilling to let go of their traditional models. What lessons can we learn from other markets? One such example is Financial Technology (or Fintech for short). It’s likely that most of us have used online banking and cashless payment. We’re also likely to be aware of crowd funding. I doubt any could have escaped the excitement of cryptocurrencies with news about Bitcoin and TV shows such as the StartUp. 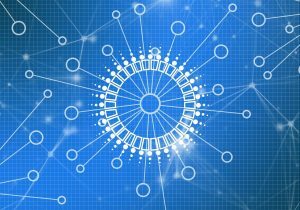 It’s big business, with FinTech raising $41.7bn in the first half of 2018! Most of the invested money is in cashless payment and loans. A little further out are robot advisors. This provides different ways of working than a traditional bank. What are the lessons? FinTech is about business and technology working together. Consumers want an easier life, and business wants to meet that demand. In that gap is innovation, coming up with ideas that no one’s thought of. It’s that creativity combined with enabling technology making the impossible, possible. Business can find new ways of doing things and look for new opportunities. They can then test the market to see if there’s enabling technology that can make that a reality. It can also work the other way, looking at what’s new, ask, what’s the opportunity? Then there are new markets. The internet helps business to trade around the world, not just locally. Small businesses can deliver products and services in new ways at lower cost. Instead of an installed product, its available in the cloud. A training course might become a series of videos and online assessments. You can monitor and manage a smart factory remotely. Then there’s video instead of being there in person. There are also trading platforms that bring buyers and sellers together and reduce risk. 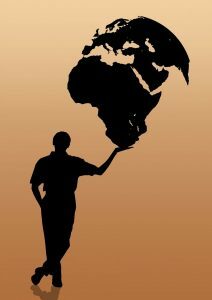 Sellers can easily reach the world. Small businesses can buy small amounts at wholesale prices. In some case they can access a catalogue of quality products and services at negotiated prices. This blog has been all about thinking out the box, and business and technology working together to create opportunity. 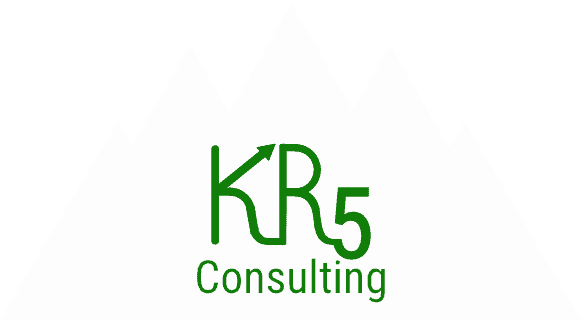 If you want help to explore how your business might benefit, why not reach out and contact us at info@kr5consulting.com or call us on 01344 266567. ⟵Digital Workplace – is this the future for scale-ups?